Today, the U.S. Senate will vote at 5:30 p.m. to end debate. That’s typical Washington—rush to pass a bill before lawmakers can find out what is in it. 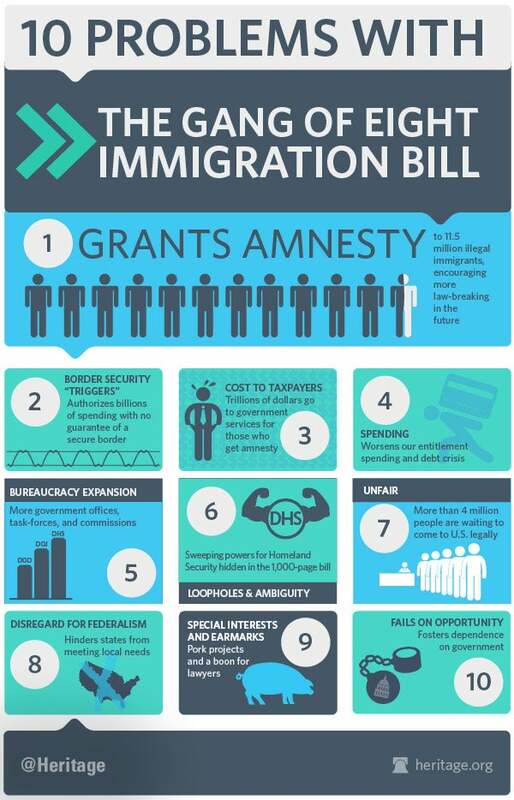 To help you understand what’s at stake, the Heritage Immigration and Border Security Reform Task Force released a paper detailing the top 10 concerns about the bill. Here is an infographic you can share with some of the highlights.